Fairs or melas are the universal constants for times spent with utmost joy. The carnivals, rides, the stalls, and the various kinds of food are testimonies to the wonders of these fetes. All fetes vary from one another according to religious, cultural or even geographical settings. Nepal is a country of splendid attributes and has more holidays, festivals, and fetes than we can keep a count of. 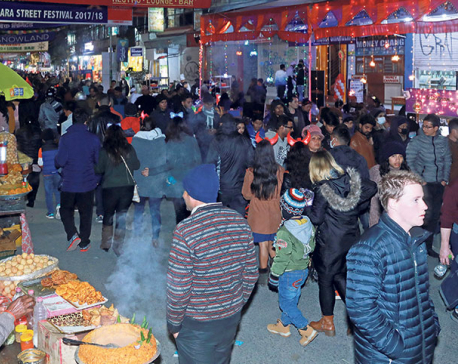 Every year or every decade, a region of Nepal is set abuzz by a flurry of preparations to accommodate some historically important mela or another. While there are more than we can take note of there are definitely those that have great origin tales and significances associated with them. Here are a few notable ones. The five ‘dhunge dhara’ of Godavari’s holy pond is said to be formed off a drop of ‘amrit’ that fell on to the hills of Godavari when the oceans were churning. Legends state that Gautam Rishi, one of the seven holy saints of Hinduism, lost one of his cattle to a cliff fall while grazing and thus prayed to Lord Shiva. He was instructed to pray to Mata Ganga and by the alignment of the Jupiter in conjunction to that of the Sun (an occurrence that repeats every 12 years), the waters of Ganga poured into the Godavari pond. A mela is hence observed once every twelve years (a nod to the day the waters poured in). 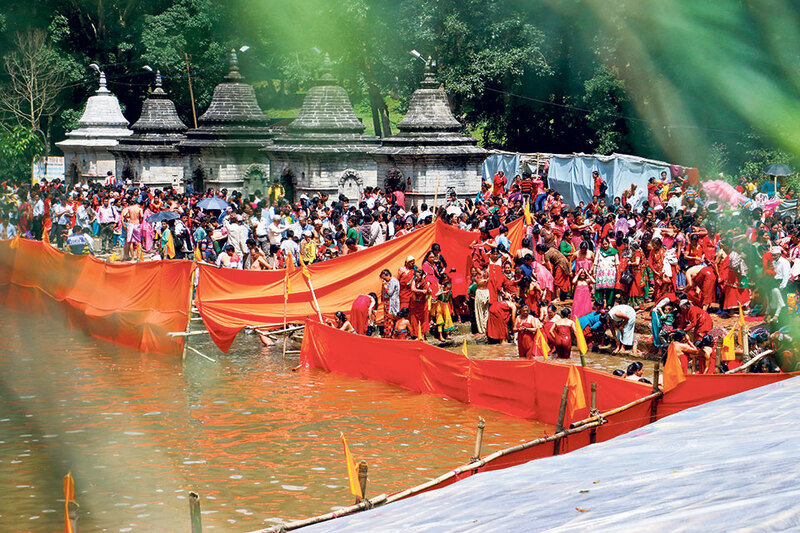 Hundreds of devotees take a holy dip in the pond as a symbol of veneration to Lord Shiva and Mata Ganga. The mela is a magnificent sight and since you can only observe it once in 12 years, we recommend you pay a visit the next time it comes around. The last Godavari mela was observed in 2015. Ridi mela is a carnival of magnanimous proportions and the excitement it brings during the Maghe Sankrati is emulated only by a few occasions. It is a three-day fair that takes place in the Gulmi and Palpa districts of Nepal. Not only Nepalis from various parts of the country but people come to the Ridi bazaar all the way from India as well to attend the mela. 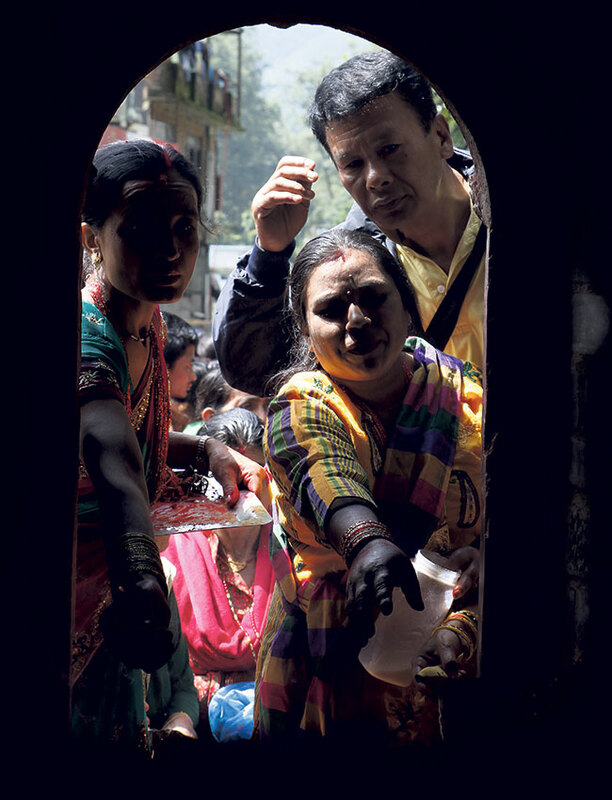 Long time back, the purpose to visit the Ridi bazaar would be for the religious dip in the Kali Gandaki river and worshipping the temple goddess. However, the buzz these days surrounds the hundreds of stalls and the myriad display of wares and local products. The Palpali fabric (dhaka), brass pots and items, coffee beans of Gulmi, oranges of Palpa and the ever-expanding varieties of utility items are on display at the mela and it is the allure of all these that draw in visitors too. Ridi mela is Nepal is an occasion that’s splendid in its color and grandeur. Panauti is 32 kilometers southeast from the capital, Kathmandu, and is a site listed in the UNESCO. The region is testimony to Nepal’s incredible architectural feats as evidenced by the pati-pauwas, temples and various monuments scattered around it. Said to be built upon a single rock, Panauti hosts the Makar mela once every 12 years to the wide acclaim of Hindus of Nepal and India. 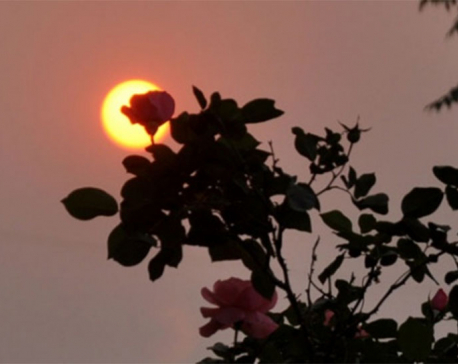 The festival is scheduled in accordance to the solar system as the sun progresses from the kumbha rashi to the makar rashi. Taking a dip in the Triveni ghat (a confluence of the rivers Rudrawati, Lilawati, and Padmavati) is said to wash off one’s immorality and heal skin ailments. The latter belief emerges from the mythology that suggests that Lord Indra took a bath in the waters of Triveni ghat to cure a fatal skin disease. Years ago, Sunsari was entitled the honor of being the fifth host for the legendary Kumbha mela after Haridwar, Allahabad, Nashik and Ujjain. Infamous for being a meeting of grand scales and taking place once every 12 years, the last Kumbha mela in Nepal took place in the year 2014. In Nepal, the mela is held at the banks of Sapta Koshi river in Barachhetra, Sunsari. Tens of thousands of pilgrims from both India and Nepal pay visits to the region of Sunsari for the mela. The Kumbha mela of Nepal is one that is termed “Ardha mela” and is followed by the customary ritual bathing. This fete is a religious meeting of believers and is a custom since the Vedic times. One of the oldest and most historically significant festivals of west Nepal is the Saran mela that takes place in Pyuthan. As is the custom, the festival begins from the day after bhai tika on Tihar. The highlights of the festival are the artists who put up a spectacular display of sword fighting as they move in sync with the rhythmic music. History explains that the festivals began as a way for the people of then-Bhitrikot to display their war skills. Today, the competition also titled “Saraya Nach” is one of the major highlights of the festival and awards winners handsome cash prizes. This is a mela that showcases Nepal’s communal essence and war craft honed over generations.